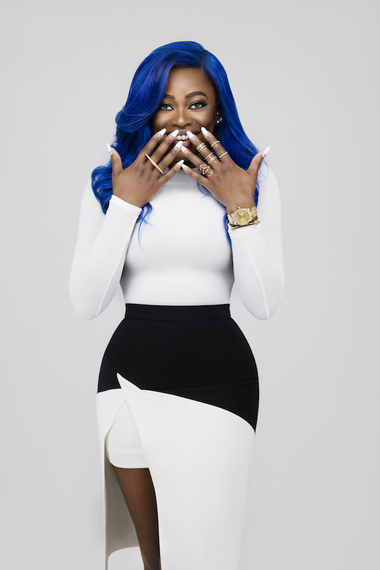 Sought after global stylist, Olori Swank and her electric blue hair have become synonymous with pop culture and fashion. Like Rachel Zoe, Monica Rose and Ty Hunter, Olori is the nucleus of celebrity brands who have become defined by their sense of style. Her passionate embrace of individuality versus imitation and her mixture of high fashion interacted with an around the way girl look is what has made Olori the expert in all things beauty. Girls and women of an assortment of backgrounds and ages relate to Olori and follow her every fashion move. Like an artist creating beauty from a blank canvas, Olori knows how to stimulate our serotonin with visually memorable looks that are indelibly printed on the mind and hard to forget. "Fashion is a powerful form of expression it allows us to say how we feel without words," she explained. "Your look is something that becomes a part of who you are but you must always be yourself. I kind of dress how I'm feeling that day. If I'm feeling super girly, then I'm going to wear all pink, ruffles, pleats, etc. If I'm feeling a little more tomboyish, I might even pull out the jeans I found in the men's section, and a crop top, and some Timberland boots. It just depends on my mood that day." In an industry that embraces the fashion of our culture while ironically ignoring the culture itself, Olori's presence is vital in shaping the essence of who we are with proper acknowledgement and the due credit that is rarely given. 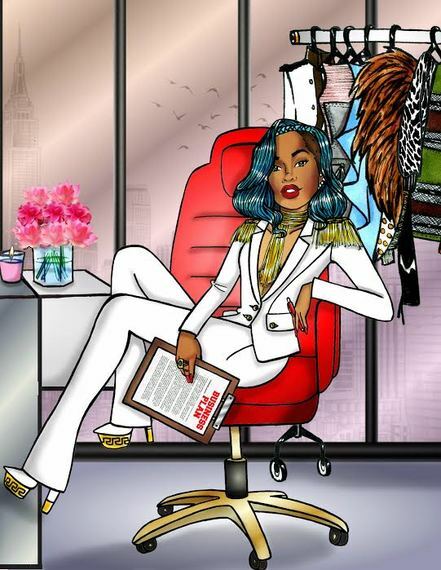 She fills a void in an industry that is dismissive to the very girls who set global trends that populate runways and fill department stores across the world. Fashion can be frighteningly nonchalant about ignoring and silencing girls without pallid ivory complexions so it's even more empowering to see a brown bombshell and style expert who knows that visuals run deeper than the physical. The images we put out there are tied to a message and can frame how people define us. Sure it's wonderful to have an eye for what looks good but when a person who resembles you masters all things beauty you know that your needs will be met and not ignored. Olori understand tones, shapes, hues, hair, brows and just about anything that relates to not just outer beauty but to the inner beauty required to really embody the word, this is what you call a master and that is who Olori Swank is. "Everybody is so bothered about being relevant. My motto is be revolutionary," says Olori. Being relevant just means people are thinking about you in the moment. If you're revolutionary, people will think about you longer than you are on this Earth. You have to make an impact and do something no one has done. You have to be your biggest competitor. I am on constant quest to be better today than I was yesterday." As someone who has branded herself beyond respectability fashion conversations it only made sense for Olori to finally share her world. With an immense social media following, A-list celebrity clientele and a sense of style that is rightfully emulated, the almost nuro-surgeon turned stylist shares her knowledge of all things beauty via her much-needed book, "101: The Blueprint for a Swank Life. Olori's book is a reference for beauty, business, relationships and life. I think every girl should have this book on her shelf or DIY embellished nightstand. It will elevate you in different aspects of your life and help you aspire to be the best version of yourself. Check out more of Olori's thoughts below via our sit-down with the young mogul on the rise. You went to pre-med school? "Well, it's not technically pre-med school, it's like a classification of a degree. When I went to school for psychology and biology, I was on track to do med school. It's definitely true that African parents only consider lawyers, doctors, and engineers for real jobs. So, I wouldn't disagree that I was probably brainwashed to be a doctor, but I legitimately thought that that was what I wanted to do. I never changed my mind or said, "Well maybe I'll do something else". But, because I went to school for 4 years all year round without taking a summer vacation, I decided that I wanted to take a full year off before going to medical school and I just wanted to have fun and meet people and just get out and do things. And in that year, I stumbled upon this wonderful career of fashion styling." Did you already have a natural styling and fashion eye? What are four items every woman should have in their closet for the summer? "Every woman should always have a pair of jeans that you love. Every woman's body is different. Jeans are probably the hardest thing for most people to find, so if you find a good pair, definitely hold on to it. I would say a good statement bag is good to have. I'm really really into lacy things right now, so something lace. If it's like , a lace maxi dress or a lace bomber jacket...I love lace. And, even though it's not a tangible item, I think every woman should have confidence in her clothes." Did you just wake up one morning and say, "Hey, I wanna have blue hair"? "Honestly my hair was an accident. I didn't want blue hair, I wanted pink hair and purple highlights. And the hair stylist, I guess she screwed it up in some kind of way because when I got out of the shampoo bowl, my hair was blue. And I was traumatized, devastated, I cried. It was bad. I had never seen anybody with blue hair at the time. And I didn't want blue hair. But, I had to be somewhere, so she told me, go do what you have to do, and when you come back I'll fix it for free. But, when I got to where I was going, everybody blew up over my hair. I got compliments from the people there and everywhere else that I went after. I was like, "Hm, I guess I'll keep it." And I've had blue hair ever since. It's been almost a decade." Do you have a makeup artist that lives with you? How is your face always beat? "I think over the years I just kind of learned my face, so I know how to do my own makeup. I get nervous telling people that because a lot of times people tell me, "Oh, do mine!" and I'm like, "No, you don't get it, I only know how to do my face." I'd be scared trying to do somebody else's makeup. But over the years, I just picked up tips from different makeup artists. Or I could watch YouTube videos sometimes and just pick up tips here and there. But, I just learned to master my own face." African prints are now trending looking at the awards and the runways, etc. There's been a difference in how people accept our culture. What are your thoughts on the fusion of African prints into mainstream fashion? 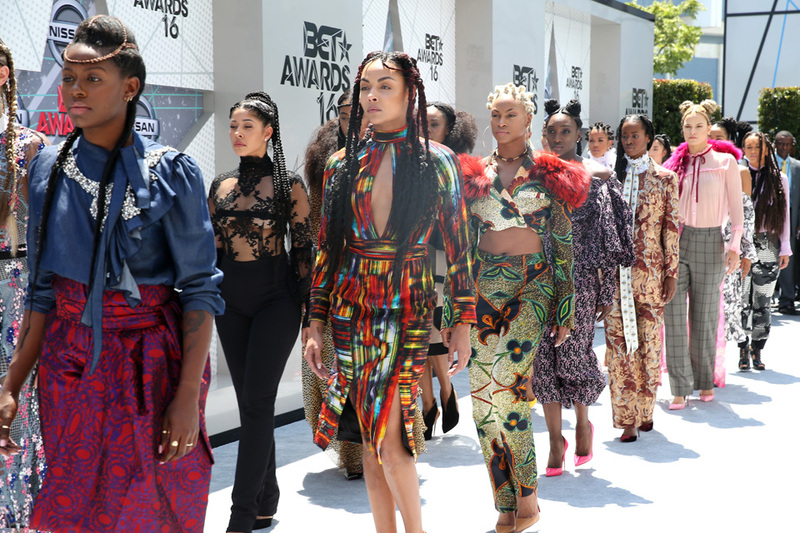 "I love that African prints are popping up everywhere in mainstream fashion. Our prints have so much culture and vibrance and color. Looking at it just makes me happy, and I'm glad that the rest of the world is starting to get it. Being African, I'm used to seeing our prints worn in various specific ways. So seeing Kente bikinis and stuff like that, it's like 'Oh my gosh!' It's opened my eyes to a new world in African fashion." What is your favorite shoot or style moment? "All my clients are really really different. I kind of enjoy that about them because I get to dress them for their personality. Every time Donald Glover hits a red carpet, I love it, because his fans are so used to seeing him grunge-y. So when we do red carpet, we clean him up a lot. The fans' reaction, that's always fun. Rae Sremmurd, they are super crazy, loud, they like everything that everybody else won't want to wear. And I love that because that's kind of my personality, rebelling against what we feel like should be happening and being comfortable enough to wear what you want to wear." Do you have any entrepreneur tips? "Yeah, I would say, Don't go into it thinking that it's gonna be easy. Because, a lot of times, people think that just because it's their passion, or their purpose that it's gonna be easy. It's never gonna be easy. Go into it with the mentality that it's always going to be worth it, never give up. My second tip would be to be consistent. And build a wonderful reputation. Word of mouth marketing is still the best form of marketing by far. You want to make sure that you have a good reputation and that you leave the people you engage with a lasting impression." You can order your copy of Olori Swank's book here and keep up with the Swank Life through her online boutique that has everything from casual wear to high fashion all within a reasonable budget. Keep up with Abesi on her blog, 7thandlotus.